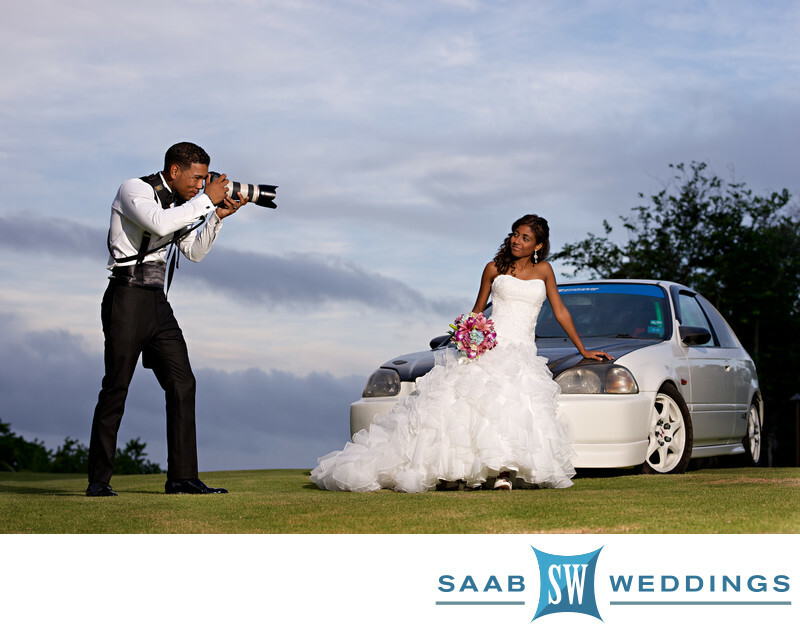 Saab Weddings, Wedding photographers in Jamaica, captured this image at the beautiful Rio Chico Villa located just outside Ocho Rios. This photograph shows the groom with three loves of his life. He is an avid photographer and an amateur race car driver. Of course of the three he loves his gorgeous bride the most.